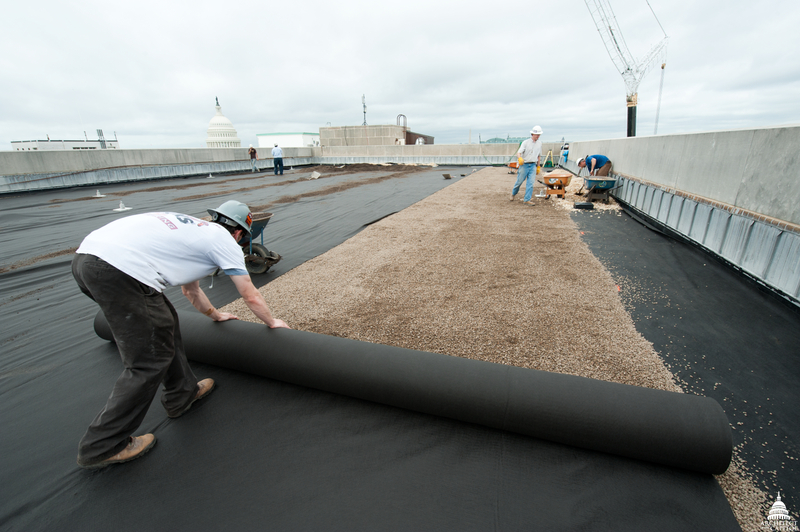 In 2011, the 7,200 square foot middle section of the Dirksen Senate Office Building roof was replaced with a green roof. What had previously been an unusable outdoor tennis court was transformed by plantings called sedums, which is a drought-resistant plant that stays green all year long. 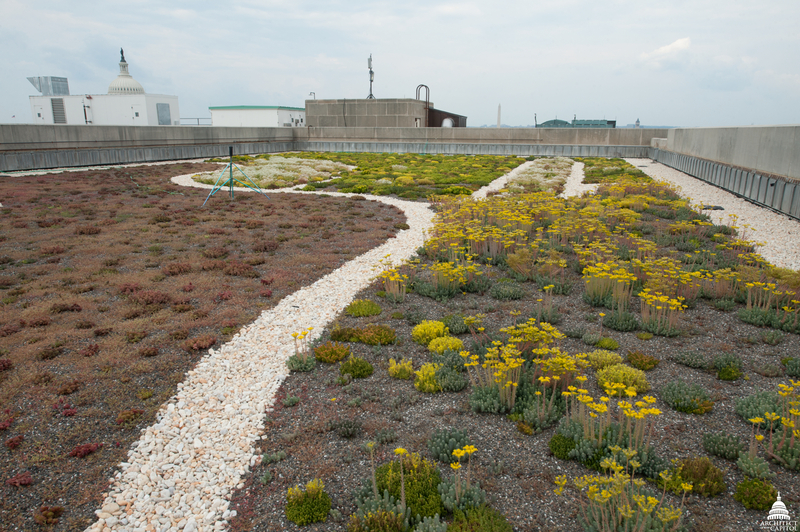 Installing a green roof more than doubles its life expectancy. 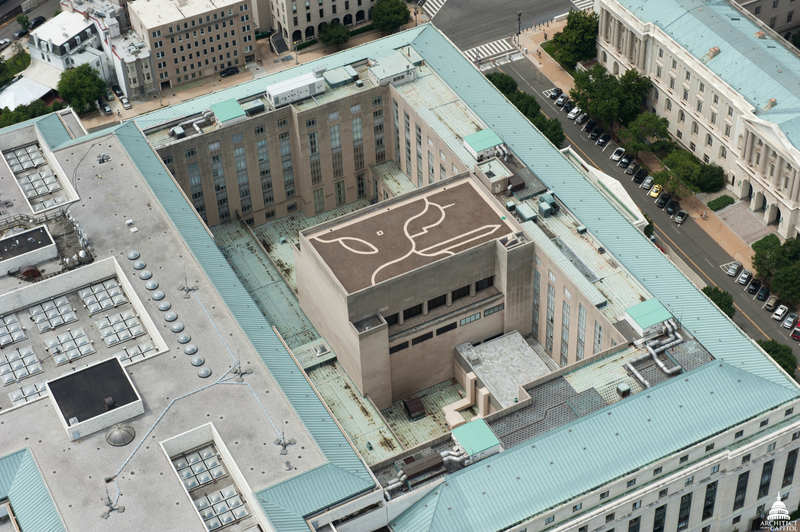 The middle section of the Dirksen Senate Office Building roof, prior to construction. 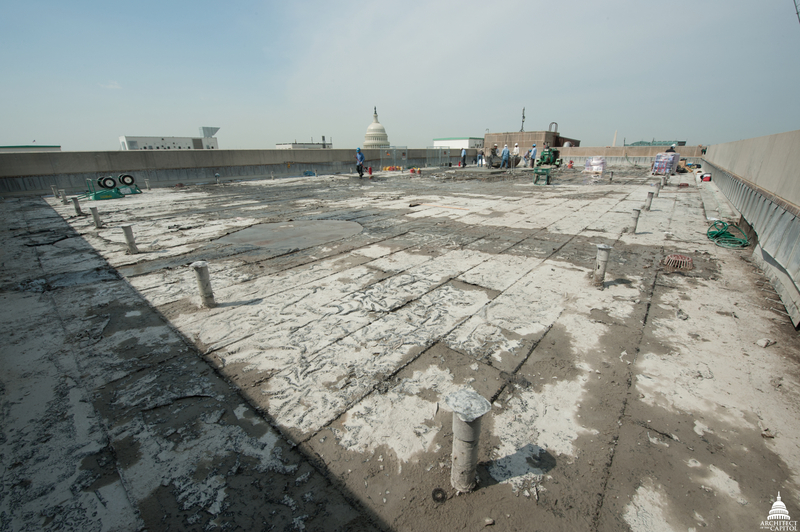 The first step was to remove the lightweight concrete from the roof. 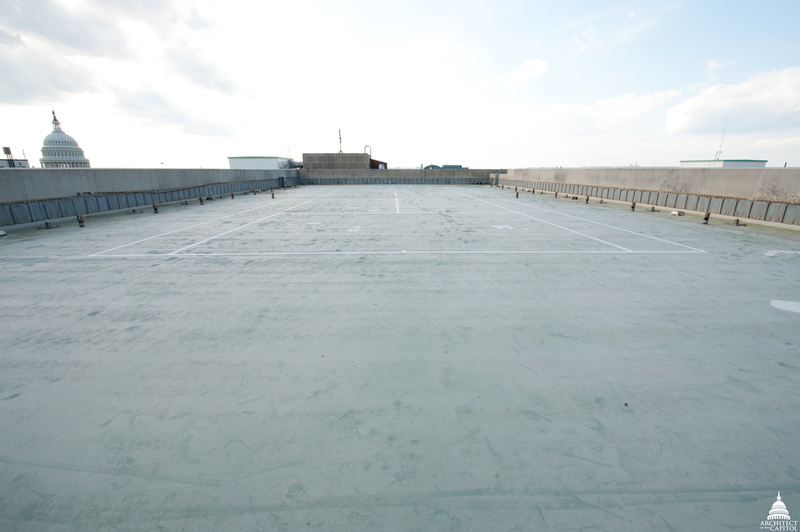 Once the concrete was removed, the old insulation and waterproofing is visible. 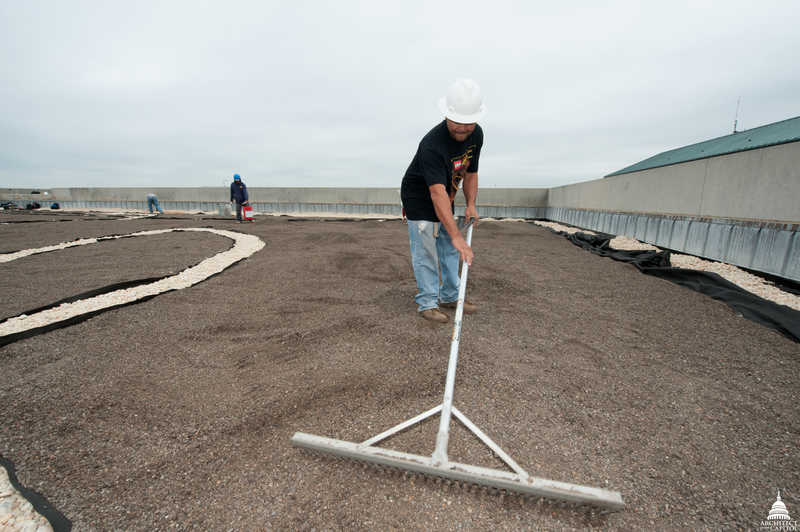 Next, workers installed a filter fabric over a drainage layer. 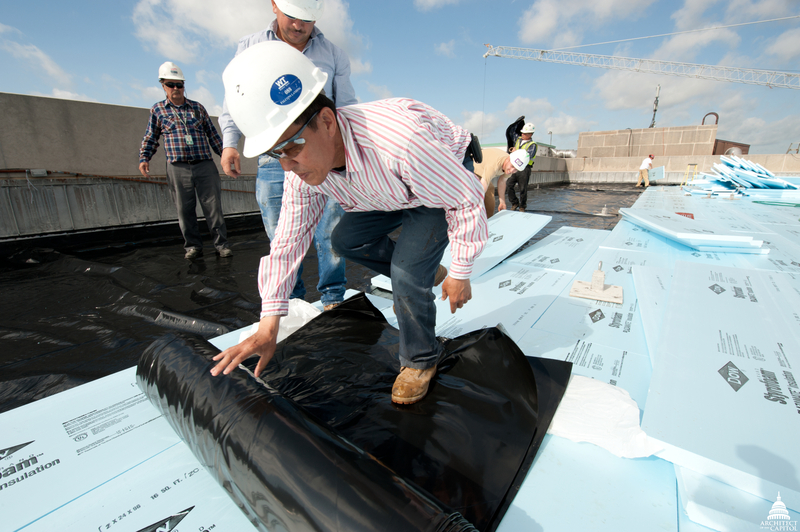 Workers installed a rigid insulation over the root barrier, creating two inches of insulation. A worker levels the soil. 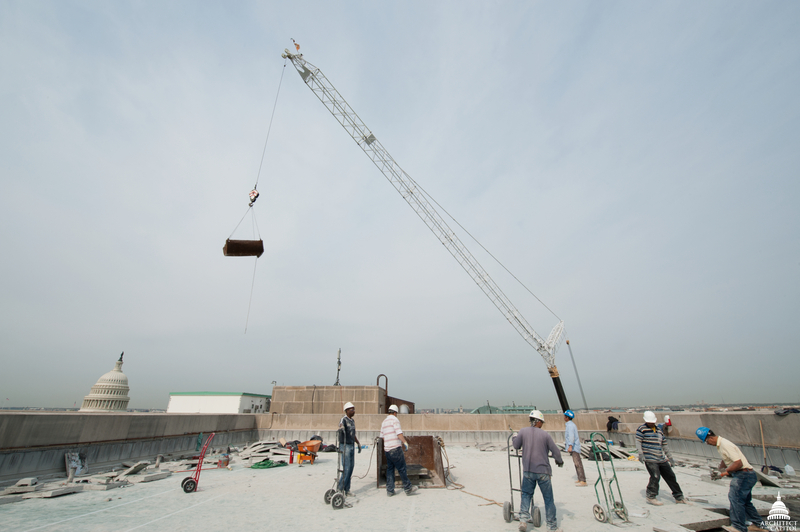 At this point of the project, the gravel ballast for the walkways has been installed. Workers plant various types of sedums, which have a shallow root system that allows it to grow in only four inches of soil. 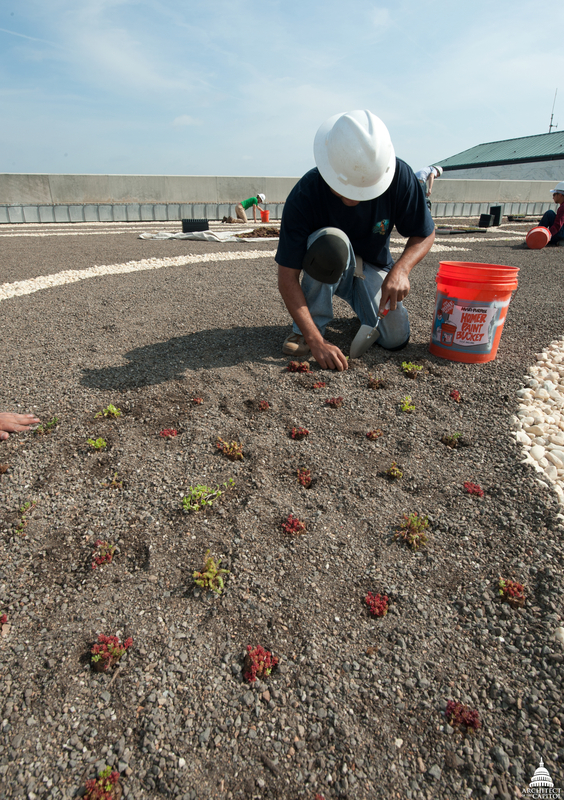 The green roof contains four different sedum mixes that provide yellow and white flowering areas, and bluish-grey and red foliage areas. 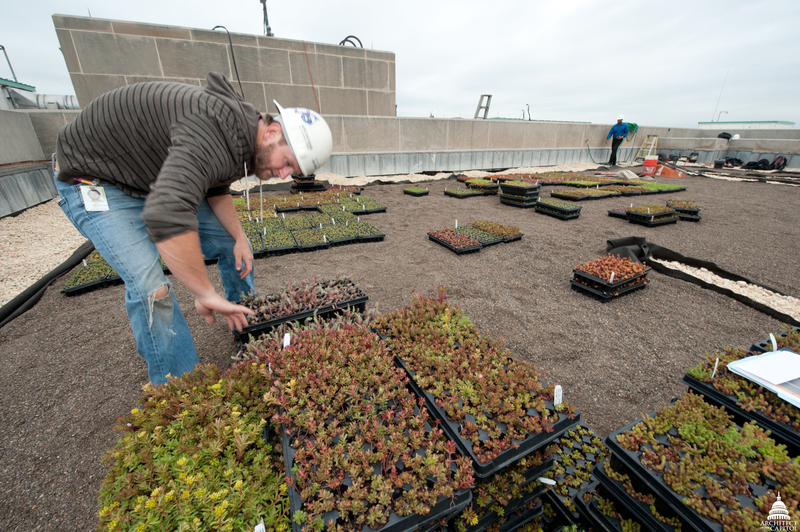 Twelve months later, the green roof continues to thrive. Can you tell what design the pathways make? The U.S. Capitol Dome is on the left, the Washington Monument is on the right and a leaf is in the bottom left corner. This story is also published in the Summer 2012 issue of AOC's Foundations & Perspectives.